This cake we know for years and finally pushed a friend to sell us some from his collection. The tea is 2002 following details of the wrapper (R) and neifei. Not earlier and not late version. This tea was sold to Malaysia in 2004 during the promotion of Changtai products in Malaysia. It´s one of the classic and high class Changtai cakes following the 1999 Yichang quality which we had chance to drink several times. 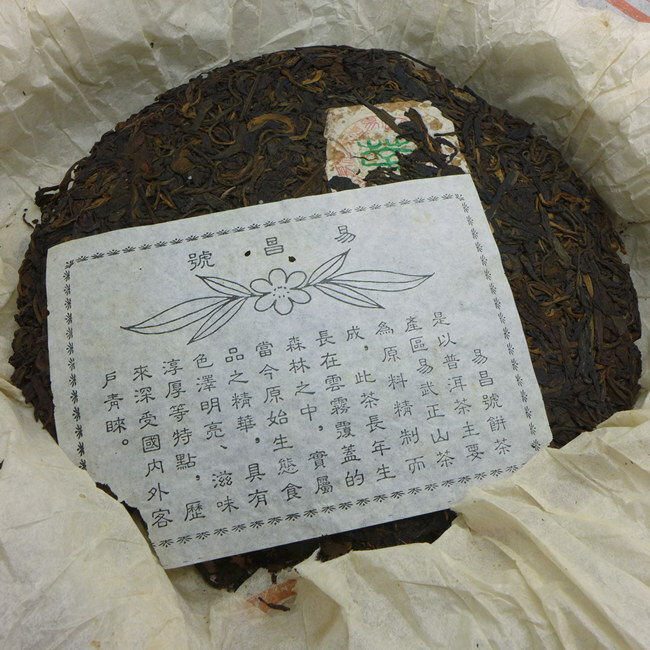 Good quality Yiwu tea was used for this cake, a good example of the Malaysian storage without some sour unpleasant taste. Mellow and full, cotton smooth with sweet aftertaste, can be brewed many times. This tea is rare and so we share online just sample only. The actual weight of whole cake is about 370g.